In June Lawrence was racing down river when he had an unfortunate, and very loud, collision during the crowded start. The tiller came away from the rudder on his rented Laser and it rounded up and smashed into the side of the Hadron, leaving a horrible hole. 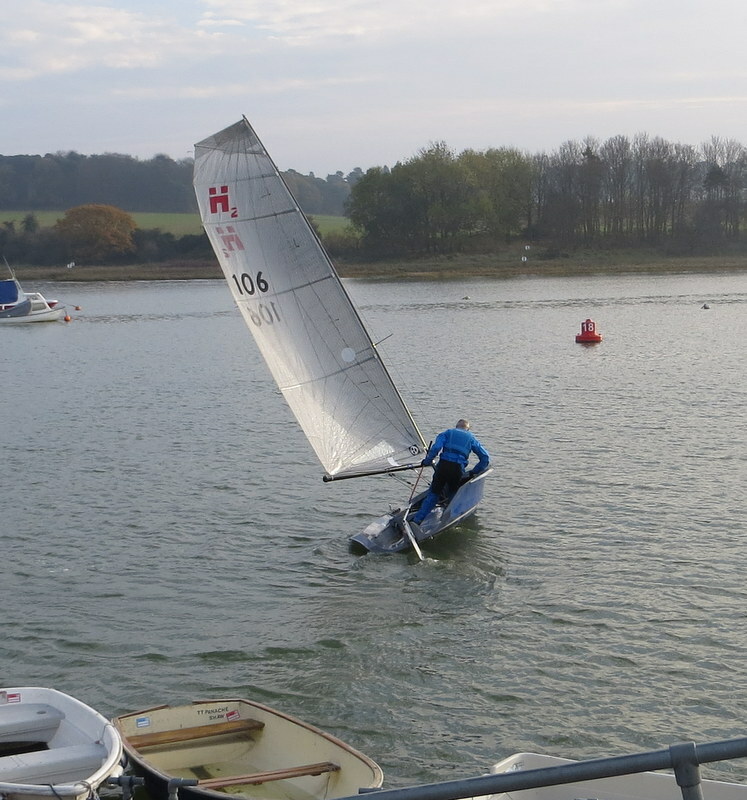 After checking the damage, both boats continued with the race. Luckily the insurance covered the replacement of the whole port side panel, back at the Hadron workshops, and the boat came back as good as new. In October the Hadron owner offered the boat to Lawrence so that he could buy a new one, so on 26th October Lawrence became the proud owner of Hadron 106, the very boat he had crashed into in June.